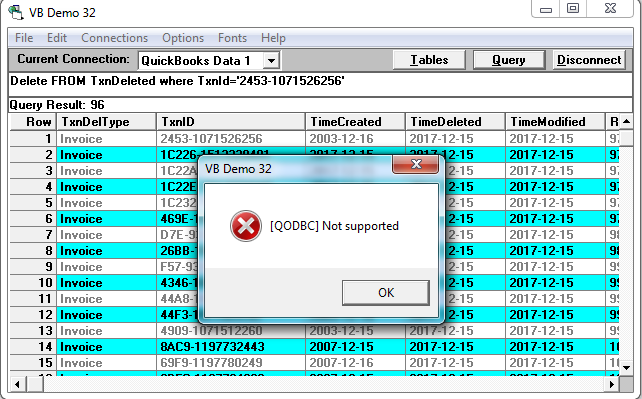 I am trying to modify the TxnDeleted table from QuickBooks in QODBC but getting "[QODBC] Not Supported" error. The TxnDeleted table is the read-only table. You can't modify/delete its content. Insert/Update/Delete feature in the TxnDeleted table is not available through the Intuit SDK so they are not available through QODBC.